My mailbox stays full of “nobody gets it” messages. People feel lonely and frustrated because most people don’t get Rheumatoid Arthritis. No, I mean they don’t “get it” as in understand what it is like. Recently, we discussed the UK campaign against ignorance about RA. Let’s talk about our own campaign: What are some things we want the Non-RA world to understand? Why? How can we achieve our goal? We want you to know what Rheumatoid Arthritis really is. We want to correct the myths and misunderstandings about RA. And, we want you to understand what’s different about life with Rheumatoid Arthritis. Think for a moment: Have you ever have tendonitis? Or “tennis elbow”? How about a sprained ankle? Maybe a dislocated finger? Heel spur? Torn rotator cuff? Broken bone? Jammed toe? Or a ganglion cyst? Maybe you have a bit of osteoarthritis in your knees? If you have, then you have a better ability to understand than you knew. Imagine that you had that painful incapacitating condition in every joint. If you do not read any further, and you re-read the last paragraph, we will have made progress. That was not hyperbole. Rheumatoid Arthritis progresses at different rates, so your loved one may not have involvement in every joint, but you can still get the idea. I may offer an ever clearer picture, add a bad case of the flu that to the cocktail. You are getting close. Do you know which joints are involved with your loved one? Are you sure? We also want you to see why we cannot forget about the RA for very long. Even though you cannot see it, it is eating us alive. Literally. And we are not able to make our hands or our feet do what we tell them anymore. So, if we can put it out of our minds for a few seconds, it comes back in again when we try to move. Why do people with Rheumatoid Arthritis want the comprehension of the non-RA world? Why do we care whether you to get it? Obviously, it would be nice to have sympathy and to feel validated in our suffering. But that is not our point. We want you to recognize what Rheumatoid Arthritis is because your reaction to our condition is sometimes not appropriate. Imagine with me again. What would you think if someone handed you a hatchet and asked you to chop some firewood with your broken arm? No one would do that because everyone understands what a broken arm is. So, that response to your condition would be inappropriate. It would be ignoring the reality of your broken arm or at least extremely minimizing its significance. But broken arms are not invisible. I call this principle: Recognition Leads to Accommodation. It is the reason that most of us will hold the door for an elderly person or cut meat for a toddler. If any limitation is apparent, most of us will naturally make efforts to accommodate the disability. Rheumatoid Arthritis brings disability and usually requires accommodation. Not giving accommodation seems cruel. How can we help you to understand RA? We can tell you the truth about Rheumatoid Arthritis, busting the myths as gently as possible. We can refuse to participate in any denial about RA or what it is doing to our lives. We can stop allowing others to dismiss us as malingerers. From our side of the wall, that is what I see. Now it is your turn, Non-RA World. Tell me how we can help you understand Rheumatoid Arthritis. Please. Personal note: Sometimes, I wonder whether people would have responded any differently if my diagnosis had been a more well-known disease like diabetes, heart disease, or cancer. I like to think so. I am guessing that people treat RA the way they do because they do not get it. I am hoping that I am correct. Kelly, I have just spent the last several hours going back to the very beginning days of your blog (since I just discovered you a couple weeks ago!) I've told you already that I look forward to a new post each day…well, looking back was no exception. You have brought tears to my eyes, a smile to my face, a deep sense of understanding and a huge compassionate heart. I was especially moved (and horrified) to read about your friend at the beach, the entries dealing with false pride vs. openness, shifting sand, empathy and especially "hope in a spray can". Sorry to lump all these into one comment but I thought if someone else had just discovered your blog, they would be wise to spend some time looking back. 🙂 It's been time well spent! Also, this entry is also a great one. I've sent the blog link to several of my family and friends and hope it will increase their understanding, too. Thank you, friend. I just realized that you had posted links to two of the entries that I was referring to above …again, they are a "must-read" for those who haven't done so, yet! Jenny: THANKS for the encouragement, new friend! Newbies: Good advice from a good lady. Kelly, I'd like to add a link to this on the http://notdoneliving.net/openletter/options page under the "same theme, different inspiration" group. Is that OK with you? Great idea Ricky. I have looked at the pages. You are doing a good work. You can also PM me on the AB or Facebook anytime. I love that the site has been updating via tweets. I missed some of these the 1st go round! I agree with charmedone1, I’ve not read some of them before and I’ve reread some that I haven’t read for a while. HAha. I guess that worked out okay since several people told me that! I am actually working hard behind the scences trying to make the site more searchable and put the important stuff where it’s more easy to find. Glad to meet you, Danielle. I have heard that from more than one parent. It makes me sad to hear. Do you think she’s so used to being sick that she does not know what to say? Maybe she does not want to sound like she is adding on another complaint? hi, i was interested to read about parvo virus b-19. i have had lots of tests,one of which was for parvo,which i have just found out i had at some stage in my life.Could have been as a child,i dont know. i have also had xrays, which show erosion in hands, ruematoid factor is up,swelling etc,nodules on feet.so my doc says that the parvo is irrelevant,just coincidental, is this what happened to you? Hi Sharon, I had Parvo several years before I was finally diagnosed with RA. The RA symptoms went on many years before the Parvo and after. My docs know I’ve had Parvo, but yes, like you say, they say it’s irrelavant. Some get RA w/out Parvo & many get Parvo w/out RA. 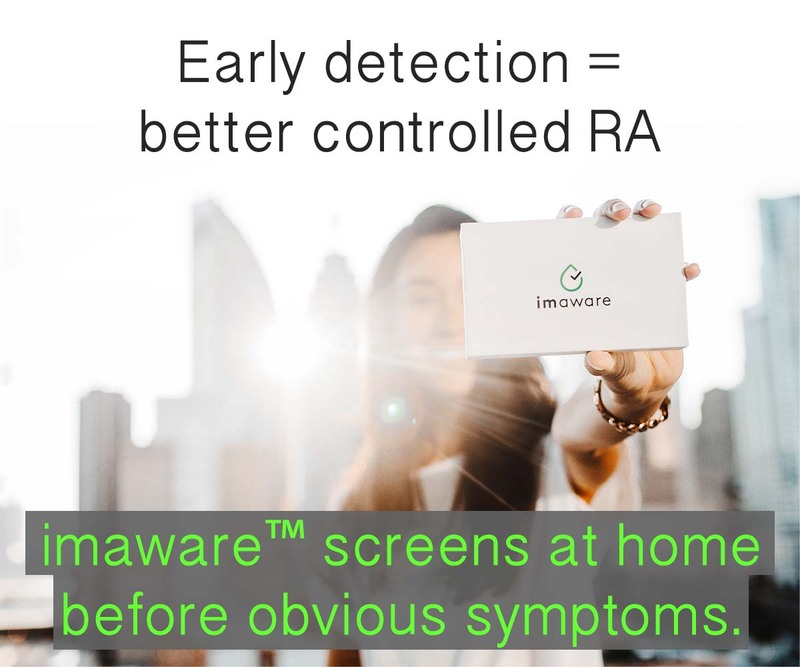 Are you being treated for RA yet? I just wanted to pipe up, in response to your personal thought about people “getting it” and well-known illnesses… As someone who has lived half of her life with many different medical challenges -including type 1 diabetes, a high risk pregnancy resulting in the birth of my son almost 2 months early (for reasons unrelated to the high risk nature of my pregnancy), having a preemie, depression, a parathyoid tumor, a spinal infection and surgery, OA, RA, Autism/Asperger’s syndrome, adult ADHD, a rhythm problem with my heart, and because of the side effects of most of these things and their treatments I have gained a pile of weight… So I have been judged on my tumor, my slouching, my limping, my use of a cane, my inability to focus, not enjoying face to face contact with many folks, being the cause of my child’s autism and prematurity, my ra, my Type 1 diabetes, and my weight oh and I’m supposed to cheer up and smile and everything will feel better because a smile cures depression. Ha. Ha. Ha. I can safely say that anyone living with anything chronic that is not shared with every single person they come in contact with (family and friends) deals with this crap and the misunderstandings. Every condition has myths- think about it- before RA did you know much about RA? I didn’t…I knew a little bit, but not enough (or I think we would have found it sooner)…. I also knew a ton of misinformation. It took years to find the diagnosis for my son (he has Asperger’s syndrome, a form of autism) because he wasn’t a mute drooling dude rocking in the corner even though the autism speaks commercials and awareness were running rampant at the time. A doctor who deals with pediatrics and development provided the “but he’s not rocking back and forth and acting like Rainman” description, by the way. So yeah, everyone living with any difference deals with this. The difference is that those of us who actually go through life with these disorders and those who are close enough to us to see the everyday challenges we face will advocate and spread the word so other people don’t have to face the same level of BS from people who we thought loved us and cared about us, but now act as critics operating fully on ignorance and myth. It is so painful as when we are more-than-usual-level-of-sick, or coping with a new diagnosis, or adjusting to a new medication, or have a million things going on and know we need to rest for a bit or we will pay the price- that we need the support and love and understanding of our fellow humans – especially family, friends, and coworkers. So we have to educate because clearly nobody is doing it for us. We can put a face on the conditions, but finding that balance between the brave and the “about to crack under the pressure and pain” faces so that people don’t just ignore us and our needs is difficult. Big gently hugs all around! I’m thrilled to have found RAWARRIOR.com! Great stuff- wonderful writing, good people! Makes this annoying disease less lonely! Thanks, Bek. Good to meet you. This is one of my absolute favorite blogs. I’ve posted it on my Facebook page and passed it along to other contacts and family members. If one more family member asks me if I’m feeling better yet, I think I’ll scream. Thank you Kelly for all you do! I have fibromyalgia, a torn rotator cuff , that is very painful, need 2 artificial knees, yet, I am only 48, and all my discs are either herniated, bulging, or deteriorating….. You can not tell by looking at me. so, I read your articles, because of the parallels, and the way I am treated. You make me feel like I am not alone. I re-read this post today. I am only 48 but have suffered through RA since my early 20’s. The past year has been very difficult as my isolation has increased and the number of people who get it have decreased. The more issues we face, the more desperately we need our friends and family to get it and support us emotionally. However, I am finding that the longer the disease process goes on the fewer people there are in it with you. You mean you still have RA?!! I have been very sick with serious infections and kidney stones this past year but did not even recognize it because I am so used to being sick every day. My latest heartbreak came from my sister, who I thought was one of my remaining support team members, telling me I just need more of a social life. If I had known dancing would cure this I would have gone long ago!! I have decided it is impossible for someone who has not dealt with this disease on a personal level to really get it. That is why this site is so important and helpful. Thanks for allowing me to share my frustrations with folks who do get it. While reading your comments, I felt like I’m not alone since its the same way with me. So thanks for taking time to share. I’ve come to the same conclusion more than once Joy. I don’t know why I continue to be determined that we must make otheres understand when it seems impossible to believe it w/out experiencing it. I hate that RA makes us suffer the pain & then isolation on top of that. Thank you so much for posting this. This is one of the most troublesome parts of having RA. I always feel like I have to justify myself, apologize for not being able to do all that is expected of me. Thank you. I don’t have RA, but my grandmother had it. (seriously) I do have other chronic illnesses including Fibromyalgia and Chronic Fatigue Syndrome amongst other medical problems. I keep being told I look great, except those in the chronic pain community. I tend to joke that chronic pain must make us look fabulous but feel like we’ve been hit by a bus that backed up over us and then hit us again for good measure. Anyway, just wanted to let you know that I do understand a little of what you are experiencing. I hope you are having a good day today and are able to do something nice for yourself. Thank You so much, I was recently diagnosed with RA less than two months ago. My husband was very unsympathetic before I was diagnosed made comments of why I was walking like an 80 yr old woman ( I am 54)or that I didn’t let him sleep because I was in pain and complained all night. After I was diagnosed he changed his tune, he is very understanding and also I e-mail everything I found related to RA. Again Thank You for building this site for all of us RA’ers Warriors!! I really enjoyed reading this article. I’m 12 and got diagNosed when I was 10. My mom has ra too. I think this helps many people understand our difficulties and struggles. Thanks once again Kelly 🙂 The pain & frustration that I’ve felt dealing with RA for 10 years has gotten worse over the years bc like others have said, “you’re not feeling any better yet?? ?” I’ve had days & even months of feeling relatively good, although never 100%, so possibly my family & friends got the impression that I was getting better. I wish! The fatigue, pain, etc never goes away & now everything is worse- I actually believe most of my family etc think I am a malingerer & this is all just in my head & if I would just do something it would all go away! “Take your depression meds & be happy, you’ll feel better” they’ve said. Yes, frustration & further isolation (not being able to go to church for ex) doesn’t compute for those Non-RA’ers that keep thinking that we should push through the pain, put on a happy face, get out more & then we’ll be all cured! I am sharing all of your posts on twitter, Facebook & everywhere I can to spread the awareness! (with credit & links too!!) God bless you Kelly! Thanks for all you do . I am new to this sight and I love what I see so far . How true it is that most people simply don’t get it ! Even my husband understands my pain for the most part but is totally ignorant to the fatigue factor ! I get so tired of making plans and then cancelling that now I just say “it depends on how I feel that day .” People tend to look at me like I have horns coming out of my head or something ! Well enough of that , Keep up the good work !!! Thanks, Eileen. Welcome, nice to meet you. This is my first posting on this website. I have had RA now approx 2.5 years. The past 2 weeks have probably been the most difficult I’ve had since I was diagnosed. I have relatively been pain free (except for about a month before I was diagnosed the pain in my hands were intolerable where I couldn’t make a fist or stretch out my hands – driving was interesting!). However the last couple of weeks, it has been a battle with the fatigue and almost seems like constant achiness everywhere. Having to deal with some of the people at work on a daily basis has seemed to be a struggle…especially when they don’t understand…nor I believe, care to honestly. When they ask I tell them and then the next day or at the end of the week it is asked of me…have you been having a bad week or what??? I don’t feel like I have to justfy the way I feel EVERYDAY or why I keep more to myself because I don’t like to have to explain it. I try not to let it effect my everyday work life. I have found that maybe the stress of the work day/week has been having more of a negative effect on my symptoms than not. Does stress play a big part in the symptoms? I have honestly tried not to read up on RA as I have been scared to learn everything about it and what could happen. 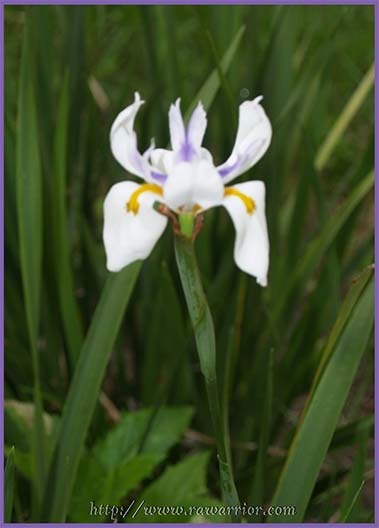 But in finding this website, I have found that I am wanting to learn more and hope to educate my family more. I hope you’re still reading or subscribed to comments! I’m sorry to reply unusually late, but welcome. What you’re saying is so common – the lack of understanding even of those who see you every day & not wanting to try to constantly explain it after a while. Stress and symptom severity is a good question. Some people say that they see a connection and some don’t. It’s likely they are both right – since our immune systems are unique, the disease (which is our immune system gone haywire) affects us differently. I’m working on a post about this. I don’t have weather, diet, or stress influence my symptoms at all – but if you’re sure you do, then I guess you can try to accommodate that as much as possible. As far as educating yourself, just take it as you need and what is good for you. There is a lot to learn – I learn every day – and there is plenty of time. Take one day at a time according to what is helpful to you. My wife was recently (past 18 months) diagnosed w/ RA. 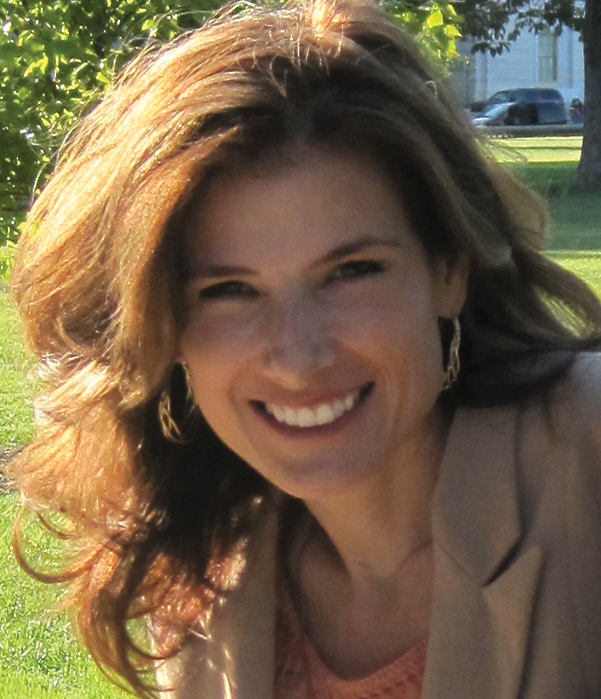 I appreciate this blog as it helps me realize the invisible nature of RA. I hope I can better read into situations where she might be doing too much or having too much expected from her that I can relieve. Her profession as a Special Ed Teacher makes it even more difficult as she often has children who will lash out physically by hitting, kicking, biting, grabbing & twisting fingers, etc. It is shameful that the school doesn’t realize the damage this can/will cause her and try to protect her better. She has done so much good for so many children over her nearly 20 year teaching career, not including a few years out when our children were young. I truly wonder how much longer she can teach, and she is frustrated daily feeling that she is left with few options outside of teaching. I just wanted to say thanks for the site. I’ve had RA now for about 4 years. Thankfully, it’s mostly under control. I’m passing on your article above to some of my friends to help them understand RA. 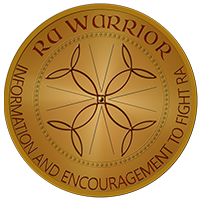 RA Warrior and hope my son will some day look to this site for support (but I doubt it:). Thank you for a place to vent, grieve and help me better understand the difficulties of living with RA. Thanks for this letter. I have been trying to explain my illness to people along with another even less known one, Sjogren’s Syndrome, and no one is listening. Am I saying it wrong or is it that they don’t like hearing the harsh reality? Having something like this letter and another I have found on chronic disabilities that don’t show helps me to cope. So many people erroneously think that if they have osteoarthritis, they have RA. So much ignorance out there. I’m incredibly grateful I stumbled upon this website. These blogs nailed every thought and emotion on the head! My dad’s significant other of 15 years was just diagnosed with breast cancer. I’m scared for her. Myself along with friends and family support her tremendously. We even had a race car done in pink in honor of her breast cancer. I don’t want this to come off wrong or offensive and I understand cancer is more of a scary diagnosis and I don’t want to compare diseases. At times I get somewhat irritated with all the attention breast cancer gets from the public. They deserve it and are warriors as well but, I wonder is it because so many women are being affected? Why aren’t other cancers or diseases so trendy and mainstream? I feel like I’ve been struggling with my disease (for 18 years now) and no one has comes close to being as supportive or understanding. I just get the blank stares, “you look like you’re feeling good” comments, and people changing subjects. I feel RA is at the very bottom of the list. Thanks for sharing this with the rest of the world. This brought tears to my eyes because it’s exactly right and what I want to say to help people understando that mistake you’re solitude for laziness and treat you like, you’re just lazy and depressed. . I’ve has this disease since I was 12 and am 34 now. I’ve hid it aND didn’t want people to know-especially my friends. I never spoke about it or brought it up. Now that I am older and have children, I tell some people. But, unfortunately my own family (except my sister) does not understand the illness and is very hard on me. That’s the worst. it was great to read the above column i agree 100% . non suffers get it hard to understand and believe .